CONTEMPORARY Scottish fiction at its best. This is a tale of Scottish teenage years, of misspent youth, angst and ultimately a search for the greater meaning. Set in Falkirk (home of the author) the book follows Alvin and his three pals who spend most of their time driving around in a battered Fiat. Those who live in Scotland will recognise the type, but the crew are not boy racers, mere drivers and passengers, trying to escape the banality and torture of living in a dead end town at 80mph. 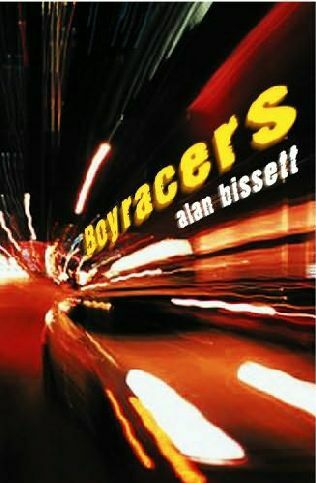 Alan Bissett’s writing is flawless, it reads like a poem but has the story and narration of a novel and the lines become blurred. It read like pure nostalgia. Plenty pop culture references; if you were a teen in those years you’ll reminisce and remember things once forgotten. Undoubtedly the best exploration of being a teenager caught between adulthood and the remaining years of unendurable school. For those without an ear for Scots lingo this might be a bit tougher to break into, even I found it a tiny bit tricky to begin with, but you soon get into it. Next What do you collect?